Variants: RDD11914 = Capacity = 896 nos. of pockets. Dimensions: With 6 drawers for 13 x 8 cm cards. other documents for banks & library etc. 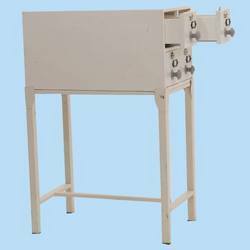 We are the manufacturer, supplier and trader of various kind of card catalogue cabinet. Card-Index are made of strong wooden in compliance with quality standard. It is well known for its elegant design, which is completely polished and reliable, consists of large storing capacity.